Diwali at Cinnamon Club – til 4 November! I love this time of year (well, when it’s not wet! ), there is something truly lovely about a crisp autumn day; a waft of bonfire smoke, the trees turning glorious colours, and not least a proper excuse to tuck into warm and spicy food. On top of this in our multi-cultural city, we get the fun of both Diwali and Guy Fawkes to celebrate in a short space of time. Both mean lots of fireworks and a jolly good excuse to celebrate. 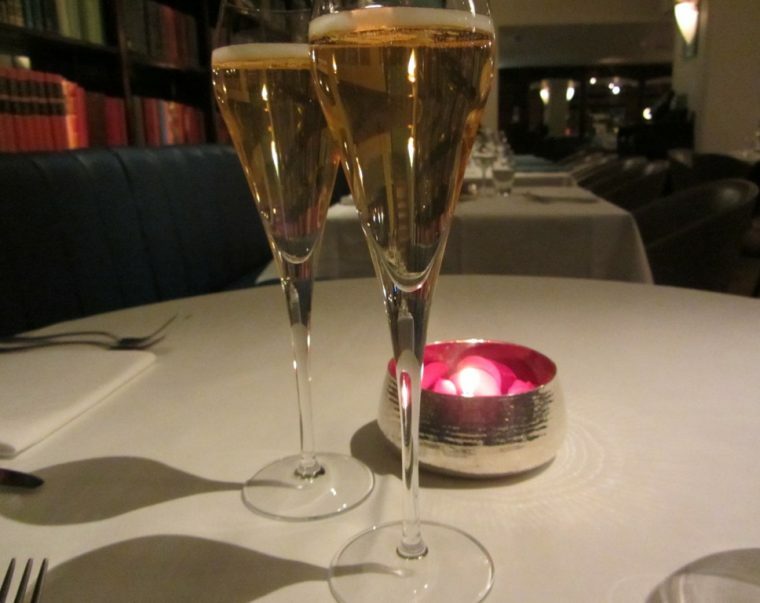 I love the Cinnamon Club; it’s one of my favourite restaurants for a special occasion. The setting is wonderful, within the old Westminster library, still book-lined; it feels like stepping back in time into the era of gentlemen’s clubs. Only the Cinnamon Club welcomes ladies too! In addition to the a la carte menu, for a limited period of time (you will have to get your skates on! 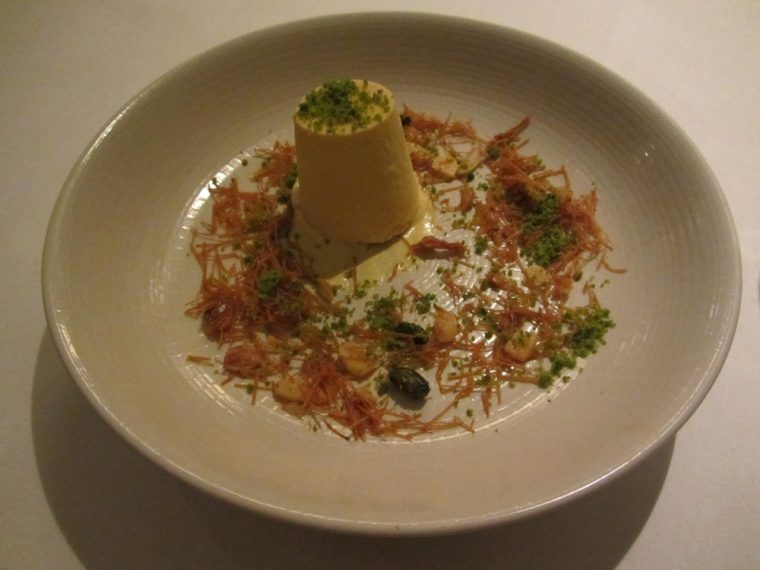 ), the restaurant is offering a special Diwali menu for £48. Once you see what is on offer for that, it certain seems quite a bargain. We started our ‘celebration of light’ with a glass of subtle cinnamon infused Bellini. 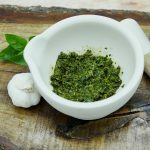 I have to admit that I’m going to steal this idea for Christmas, as it added a touch of spicy warmth to a drink that I normally associate with summer. 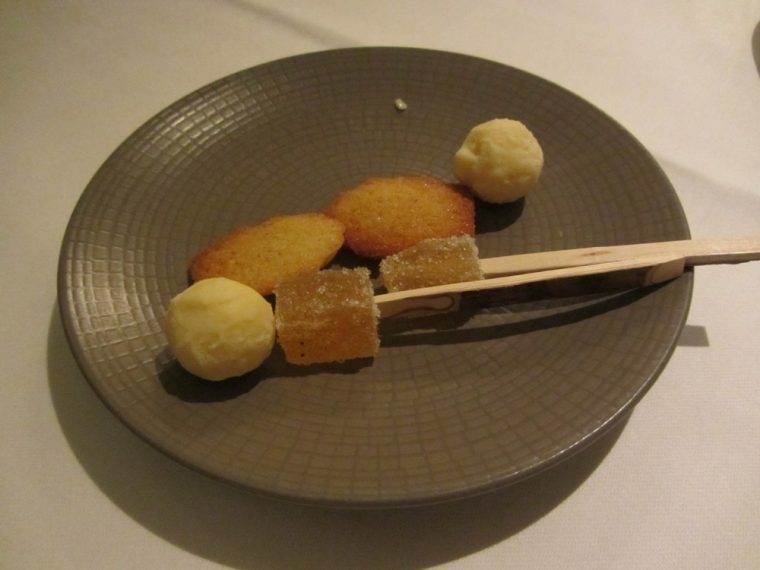 We were delighted with the amuse bouche that accompanied it. 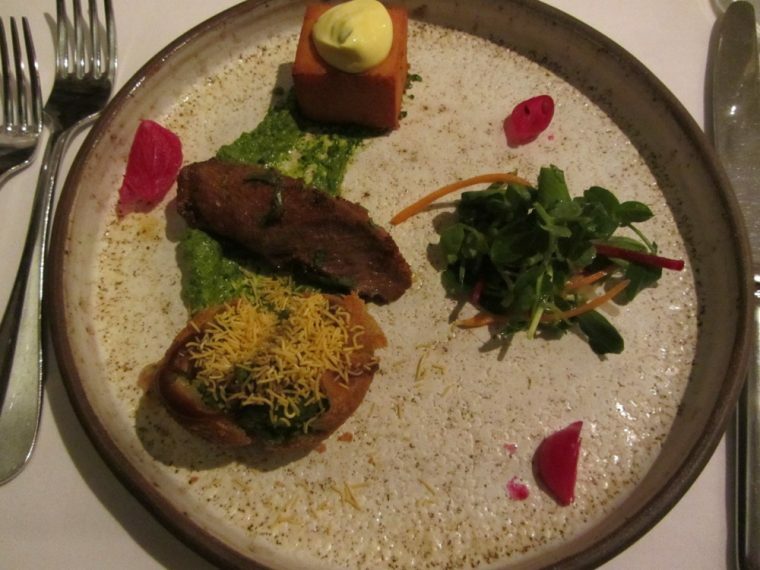 To start with we were delighted by a lamb fillet served with pithod, green pea kachori and tiny red pickled onions. The lamb was as tender as can be, and I loved the green pea kachori in particular. 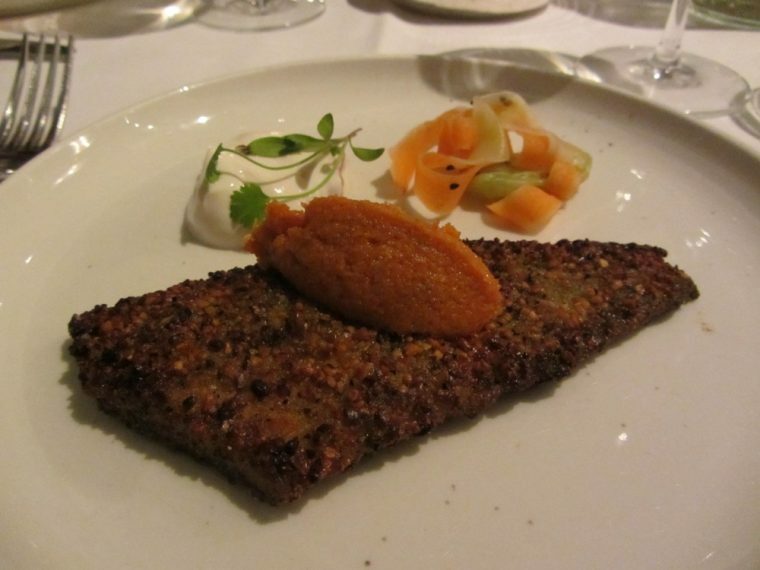 We were then presented with the sort of dish that I would choose; an incredibly delicate and perfectly cooked plaice fillet, but rather unusually crusted with lentils. These gave a wonderful crunchy contrast to the softness of the fish, and let the star of the show shine through without overwhelming it with too many spices. 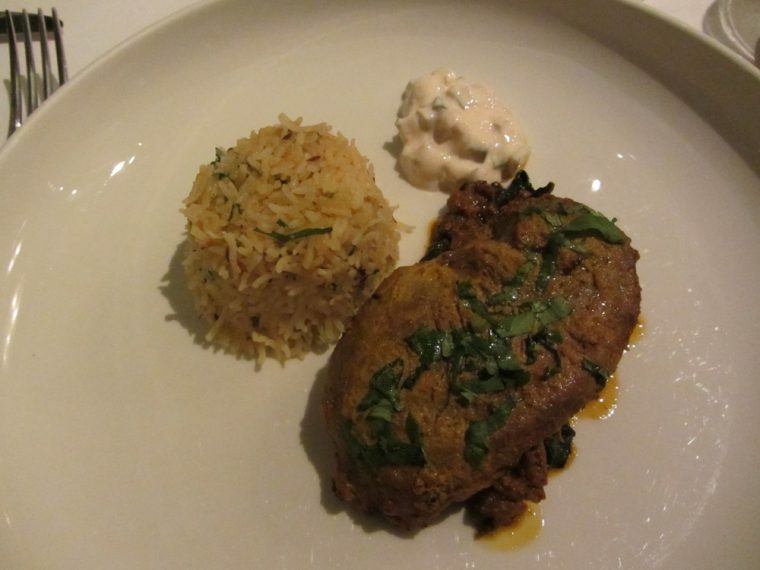 After a delightful sorbet palate cleanser, we were served char-grilled mallard breast with masala rice and smoky paprika raita. 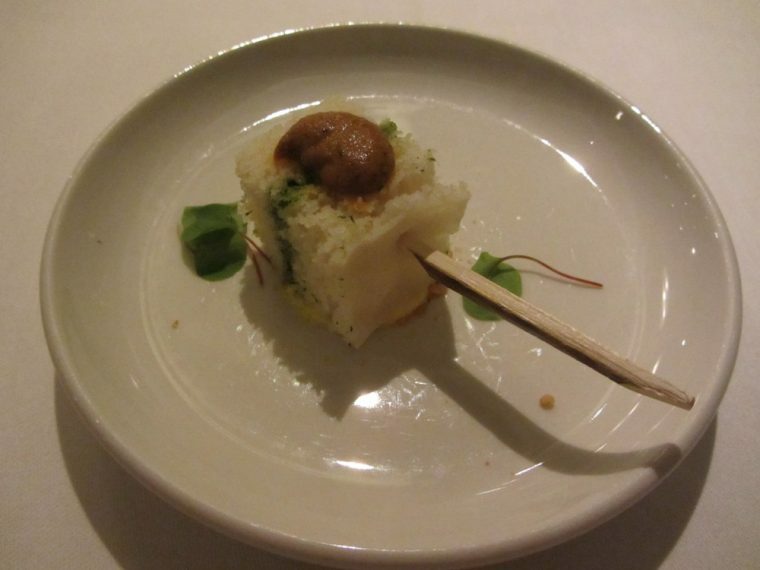 This may look rather ‘brown’ in my photos, which sadly do not do the dish any justice. I can confirm that it was delicious! 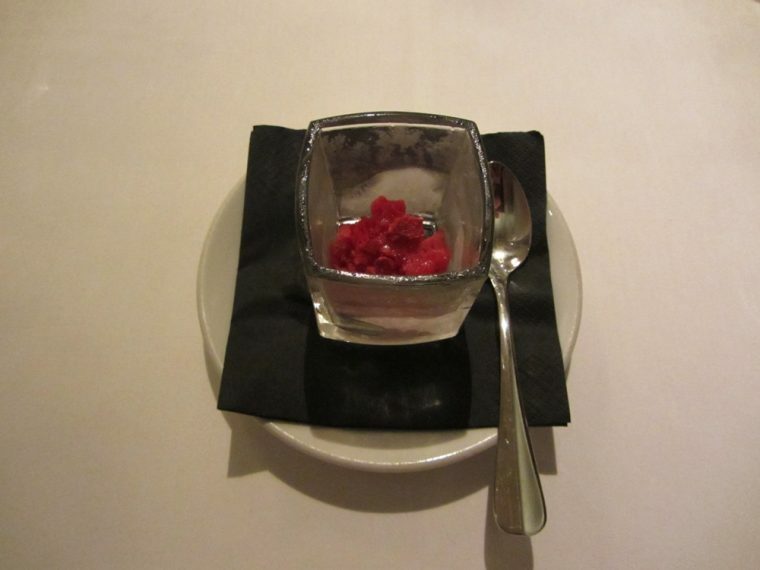 Our traditional kulfi dessert was just perfect too. Both on the plate and in the mouth! As I said, to enjoy this menu you need to be quick, it’s available until 4th November.